A number of people tend to give too much attention to the flooring and designing of the rest of their property, thereby ignoring the most important corner of their house i.e. the bathroom. So, in case you don’t want to be one of those people who have average looking bathrooms then, you need to opt for natural stones for sure. Natural stone bathroom tiles transform the bathroom from average to amazing and add a hint of natural beauty to it. Bathroom tiles are exposed to so many things such as heat, dust but most importantly ample of water which means the material used for making these must be of high quality and durable. Installing bathroom tiles made up of natural stones in a way lets one take a sign of relief because these pieces are definitely there to stay i.e. they won’t need any replacement or repair for the coming 5-10 years depending upon their level of maintenance. 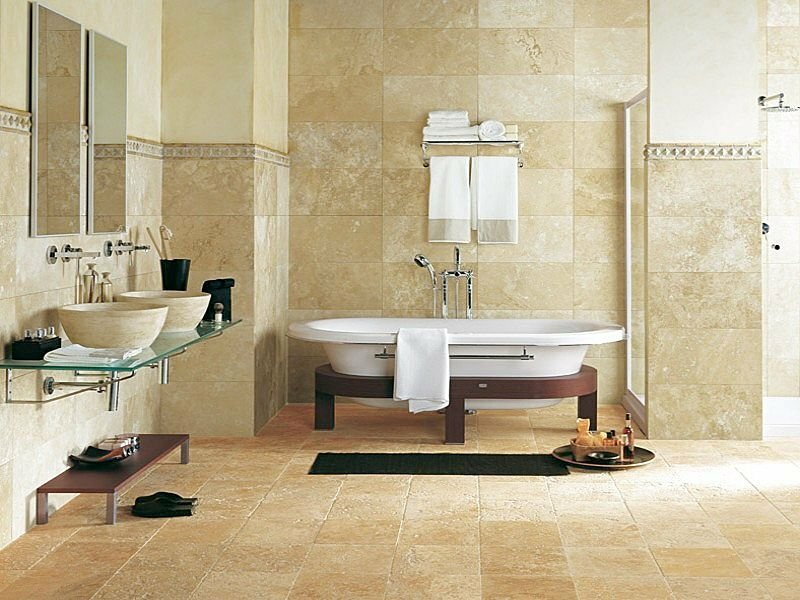 Basically, natural stone tiles would stay forever in your bathroom with proper care and maintenance on your part. The beauty of natural stones is that they are available in endless variety i.e. unlike synthetic materials that have similar structure and design natural stone vary from each other considerably. Finding two identical natural stone slabs is a hurricane of a task because every slab of natural stone has a different cut, size, shape and color. The vast variety of natural stone bathroom tiles in a way ensures the homeowners a uniquely designed and decorated bathroom that would always be different from what others have. Unlike several synthetic materials, natural stone is extremely durable and can handle all kinds of water and heat intervention which is obvious in case of a bathroom Natural stones such as granite and marble are stain resistant too, which implies one doesn’t have to constantly indulge in the task of cleaning stains and dirt from bathroom tiles that are made up of these superior materials. This feature of natural stone tiles proves to be extremely advantageous to people who don’t have ample of time for undertaking cleaning tasks. Last but not the least, natural stone bathroom tiles add a hint of glamour and style to your already existing lifeless bathroom, thereby adding value to the same. The tiles made up of natural stone make a bathroom look cozy, exactly how this special corner of the house is supposed to be.